This summer has been filled with changes all around for the Boston Bruins. Former general manager Peter Chiarelli was shown the door; Don Sweeney was promoted to the big chair as Boston’s new GM; Dougie Hamilton could not be signed to a new contract and was traded; Milan Lucic, due to be a free agent next summer, was sent to Los Angeles; Reilly Smith and the financial albatross of Marc Savard’s contract were sent packing to the South Florida sunshine. Matt Beleskey was brought in for five years while Adam McQuaid was brought back for four. Jimmy Hayes and other small deals (Matt Irwin, Ryan Spooner, Zac Rinaldo, etc.) have significantly altered the course for a club who believes they can still contend for the Stanley Cup. However, the more things change the more they stay the same. 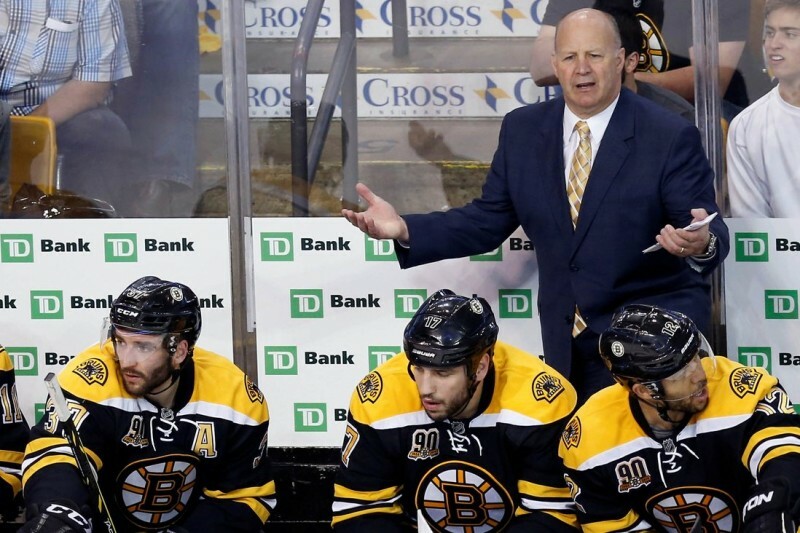 Expect the Boston Bruins to announce that Claude Julien will remain the team’s head coach going into next season. Head coach Claude Julien spent a month in limbo about his future, but was confirmed to retain his place behind the bench for the 2015-16 season just days before the NHL Draft. When asked about the wait, the coach chalked it up to a matter of comfort for Sweeney. It makes sense but certainly Julien was a tad anxious up until that point. It was a bit unfair for Sweeney to drag it out as long as he did but now that the decision is made, the pressure is on the coach who has a chance to become the winningest coach in Bruins history with 37 more victories. However, will he be around long enough this season to reach that feat? The staple of Julien’s system relies on defensive zone structure. Most of the roster is composed of players who are minimal defensive liabilities. Indeed, the system has worked to great effect in Julien’s tenure on Causeway Street. The Bruins have finished in the top-five for goals allowed six times in eight years; the exceptions being last season (11th) and his first season back in 2007-08 (12th). Perhaps one of Julien’s biggest accomplishments, besides winning the Cup in 2011, came back in 2010 when Boston qualified for the playoffs allowing the second-fewest goals in the League (200). They only scored 206 that year, finishing 29th in that category. Things have changed since then. Defensively, the Bruins have two aging top-four blue liners in Zdeno Chara (38) and Dennis Seidenberg (34) while the rest of the corps is composed of younger players and prospects. Offensively, the forwards are getting younger too, most notably the dynamic duo of David Pastrnak and Ryan Spooner. Given all the changes that have occurred, Julien will have a true test on his hands to maintain the defensive structure with younger players. Torey Krug is likely to see top-four minutes this year, having been on the third-pairing for the past two. Can the coach work with the likes of Joe Morrow, Colin Miller and Krug to maintain the defensive shape that has been in calling card for eight years? A report by Ken Campbell of The Hockey News back in 2013 outlined the importance of being in the playoff structure by the time U.S Thanksgiving rolled around. Last season, six of the eight Eastern Conference teams holding playoff spots after Turkey Day retained them. The Bruins and Toronto Maple Leafs were the unfortunate duo to miss out. It highlights the need for Boston to get off to a faster start this season, surpassing their 14-9-1 record on November 30, 2014. The Black and Gold play 22 games between Opening Night on October 8 and November 30; 12 at home and 10 on the road. Twelve of those contests are against playoff teams and two matchups each against Tampa Bay, Montreal, Detroit and the New York Islanders. It’s a tough road to hoe for Julien matching up against top opposition so often the first two months of the season. A fast start will be crucial as to where the Bruins go this year and if the coach will be around to oversee it. 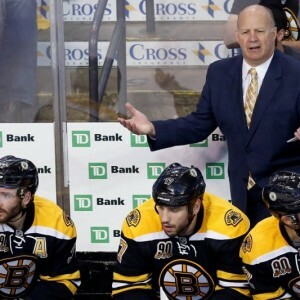 Julien will have to will his players to be more aggressive and attack. The habit of sitting on leads in the third period can’t continue if the offense can’t produce when it counts the most. The third-fewest goals scored in the final 20 minutes last season (59) was their Achilles heel. That will not be acceptable in the new regime that wants “aggressiveness” from their players. Claude Julien will have a two-month audition to keep his job in Boston. Will he and his players rise up to the challenge or will the coach crumble and fall on his sword? The answer to that will decide his job status.